We're very proud to have been awarded Tracklements Best Supplier of the Year 2018. 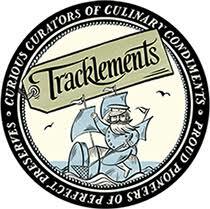 We work closely with The Tracklements Company, supplying them with prepared onions for a number of their products including their delicious Original Onion Marmalade. Tracklements used lots of criteria to determine who among their 150 suppliers should win the award including provenance, environmental impact, sustainability, service and value for money so we're chuffed to bits to have come out on top.